Here are my top 10 Montessori principles that can be used whether or not you own traditional Montessori materials. These principles are relevant for any preschooler. To me, they fit with natural learning because they meet young children’s natural needs without requiring a specific material. 1. Follow the child. The. Most. Important. Principle. For any age. Individualize learning for your unique child’s needs and interests. In Montessori, this is done by observing your child to see what your child’s needs and interests are and by respecting – honoring – those needs and interests. 2. Respect and encourage your child’s absorbent mind and sensitive periods. 3. Allow your child the freedom to explore indoors and outdoors – as long as your child is safe and using the freedom in a positive manner. Independence and self-directed learning are important concepts/goals of Montessori education. 4. Give your child as many opportunities for hands-on learning as possible. It’s important that your preschooler has concrete, hands-on experiences before learning abstract concepts. 5. Emphasize practical life and sensorial activities in the preschool years. 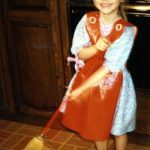 Practical life activities for care of self, care of the environment, control of movement, and grace and courtesy help your child develop order, concentration, coordination, and independence. Activities to refine the senses give indirect preparation for later academic learning. 6. 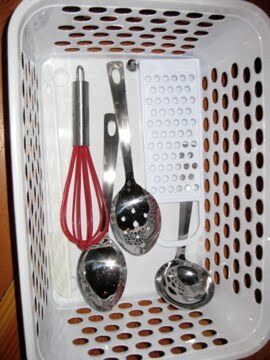 Provide child-size materials (and real child-size tools) wherever possible. Place materials on trays on low shelves, allowing your child the opportunity to choose his or her own work and to repeat activities as often as needed. 7. Don’t interrupt your child’s work cycle. Let your child develop an ever-increasing ability to concentrate. Competition, tests, rewards, and punishments aren’t necessary. Your child will develop a sense of satisfaction over work well done. 8. Make your child’s environment as orderly and attractive as possible. 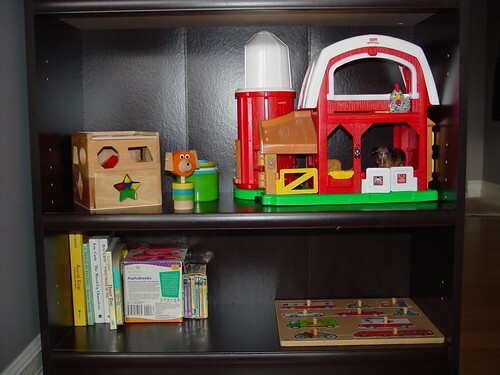 An orderly environment assists your child in developing mental order and intelligence. 9. Demonstrate how to do an activity. Don’t expect your child to automatically know how to do something or to know the appropriate behavior without having it demonstrated first. 10. When you offer an activity, check that one quality is isolated (for example, it helps if only the color – and not the shape – varies if you’re introducing your child to colors), and there is a control of error (instant feedback built into the activity) whenever possible. If you follow Montessori principles, you will help your child naturally develop many positive skills and traits that provide a strong foundation in life – skills and traits such as independence, self-discipline, and love of learning. UPDATE: To take the next step, please read How to Start Using Montessori at Home. Photo Credits: Thank you to the families who have so kindly shared ways they apply Montessori principles in their homes through Cynthia Dyer/The Montessori Child at Home. How have you observed Montessori principles at work in your child’s life? Amazing list.We love the Montessori philosophy,too. Thanks for your kind comment, Isil! I never tire of marvelling at how much Montessori has to offer! Ah! I am totally converting our front windowsill into a nature table! I have been wanting to make one, and couldn’t figure out a good, accessible place — but that is PERFECT! Thanks for your comment, Kristin! I thought that was a great idea, too – smart family who thought to convert their windowsill into a nature table! 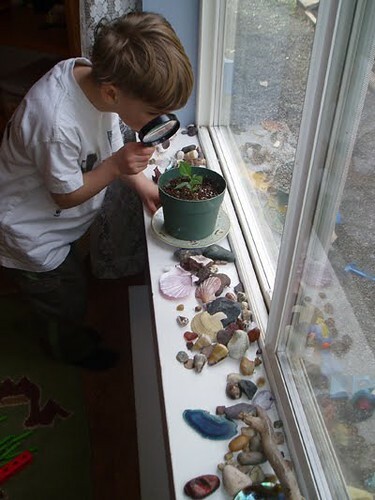 Montessori education is based on observation of the child, so parents who watch their children’s needs, do naturally apply a number of “Montessori principles”! FANTABULOUS post! This is the best best best way to parent! Thanks so much for your FANTABULOUS comment, Sheila! 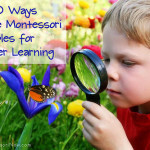 I’ve always felt so lucky that I was introduced to Montessori principles before my kids were born! I agree to all the Montessori Principles. And i specialy agree that parents should allow their children the freedom to explore indoors and outdoors. What a great post! You give good tips and ideas here for ways to encourage learning! I read a post today by a mom who let her four year old use her camera at the risk of damage but was glad she said yes. She loved her daughter’s pictures. Her daughter was proud and was able to explore photography. The mom is planning to start an album for her daughter’s pictures. How fun! What a great post to link to the Best of 2011 blog hop – a really great framework to follow. I’m not that familiar with Montessori methods, but the general approach of #1 should be true for any learning environment! All children are different and learn in different ways. Great post. Just ran into your site today. EXCELLENT post. All three kids of mine are Montessori kids, and they continually amaze relatives and friends. I’m also a teacher in the Erdkinder program of The Abba’s Orchard school (where my kids go to…they’re in Level 2 and Casa)here in the Philippines. Maybe you can check out my articles on the subject…and at least one of my future Montessori-based articles will link back to this page. This is a prime example of how a lot of what you write, Deb, is simple yet sublimly brilliant! Parents mightn’t even taken this into consideration if it isn’t first brought to their attention! Love this blog!! These sound wonderful. I love the emphasis on respect as well – and it’s great that it can be applied all the way through adulthood. Love this list! I printed it about a month ago when I started learning about Montessori and have often referred to it when planning my day/week. It’s really helped keep me focused. Thanks so much! I just started reading about Montessori method, and learning so much having discovered your site. Very interested in Montessori education for my younger kid. Wow! Let the baby come already!!! This is a wholesome piece, thank you very much. 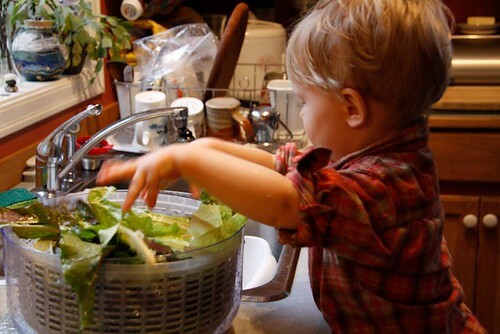 the right time to start training on life skills is at a tender age.